THIS CAR IS VERY NICE. 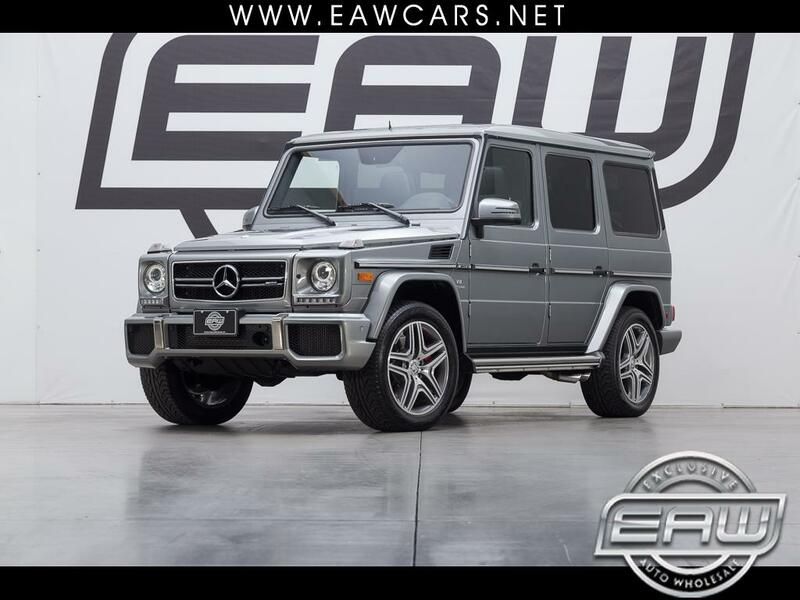 THIS CAR IS A ONE OWNER G63 AMG DESIGNO EDITION, FACTORY WARRANTY, NEW CAR STORE TRADE IN, NON SMOKER, BOTH KEYS AND BOOKS, HEATED AND COOLED SEATS, HEATED STEERING WHEEL, NAVIGATION, BACKUP CAM, 20'' AMG WHEELS, MSRP $141,275, ANTHRACITE POPLAR WOOD TRIM, HARMAN KARDON LOGIC 7 PREMIUM SURROUND SOUND, 5.5L BI-TURBO V8, 563 HORSE POWER, FULL TIME AWD, HEATED SECOND ROW, VERY NICE LUXURY SUV, TOW PACKAGE, BLIND SPOT MONITORS. CRAZY CHEAP G63 THAT IS CLEAN AS CAN BE. HAVE IT INSPECTED, HAVE WHATEVER YOU WANT DONE ON THIS BEAUTIFUL POWERFUL MACHINE & YOU WILL FIND A VERY NICE & CLEAN G63 THAT IS A GREAT DEAL. THIS ONE IS GOING TO BE BITTERSWEET TO SELL BUT IT'S TIME FOR IT TO GO. TAKE ADVANTAGE OF THIS PRICE WHILE IT'S STILL AVAILABLE!!! Message: Thought you might be interested in this 2016 Mercedes-Benz G-Class.